We won’t include a receipt in this package. Add Signature Required for Delivery? Adding signature required will help you receive your package. U.S. deliveries only. Increase the speed of your delivery with USPS Priority Shipping. (Not for oversized items.) Only available for United States orders. Enter your message you would like hand written. Only when you add a $2 Greeting Card (above) to your order. We can gift wrap this item for $4.95. 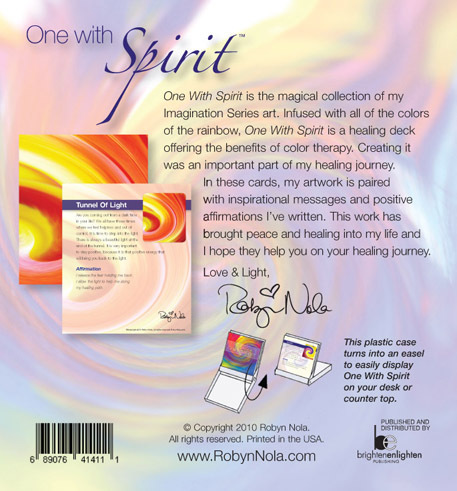 One With Spirit is the magical collection of Robyn Nola’s Color Therapy art. 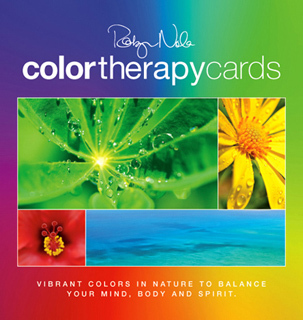 Infused with all of the colors of the rainbow, One With Spirit is a healing deck offering the benefits of color therapy. 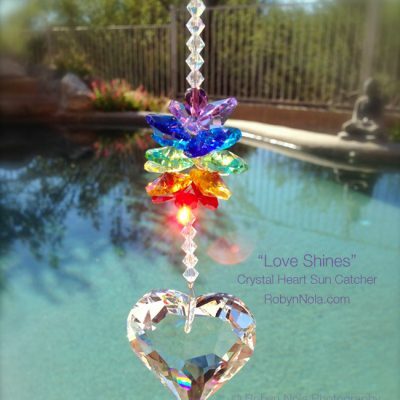 Creating it was an important part of Robyn’s healing journey. 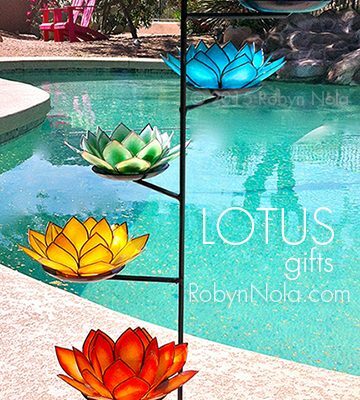 The vibrant artwork is on one side and on the opposite side is a positive affirmation and inspirational writing from the artwork. 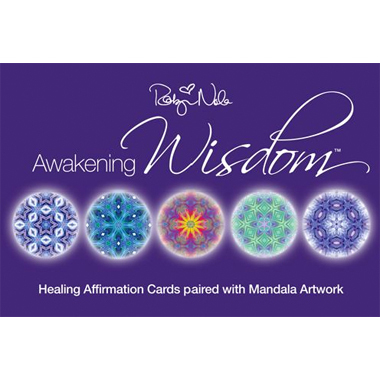 One With Spirit comes inside of a plastic case that turns into an easel to display your cards in your sacred space. 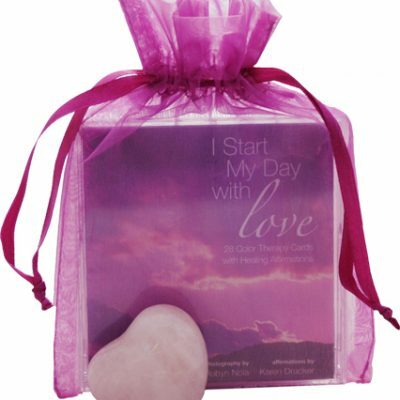 Each set of One WIth Spirit affirmation cards comes inside of a decorative gift bag. 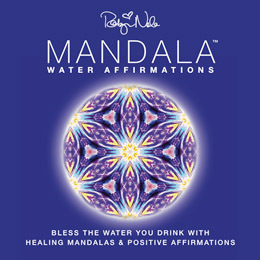 One With Spirit makes a unique, inspirational gift for yourself, friends or family. 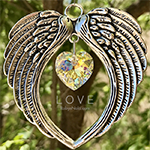 The One With Spirit Affirmation card case measures 5.5″ wide x 5″ tall. 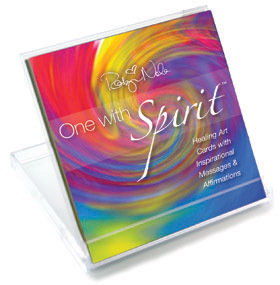 One With Spirit’s plastic case turns into a mini easel to display on your desk or counter top. FREE Chakra Colored Gift Bag! 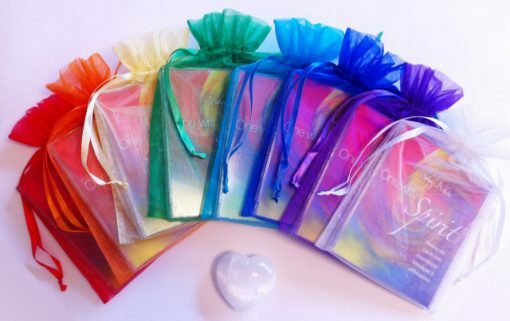 One With Spirit comes your choice of 8 different chakra colored gift bags.